Mary Lynn Tolomeo, our office manager, entered the dental field in 1993, graduating from Central Career School with a degree in dental assisting. She has and continues to attend numerous seminars that help further her knowledge of dental insurance coding and processing, as well as office management and patient relations. She is more than happy to answer any questions a patient may have about scheduling appointments, insurance issues, payment options or other concerns. 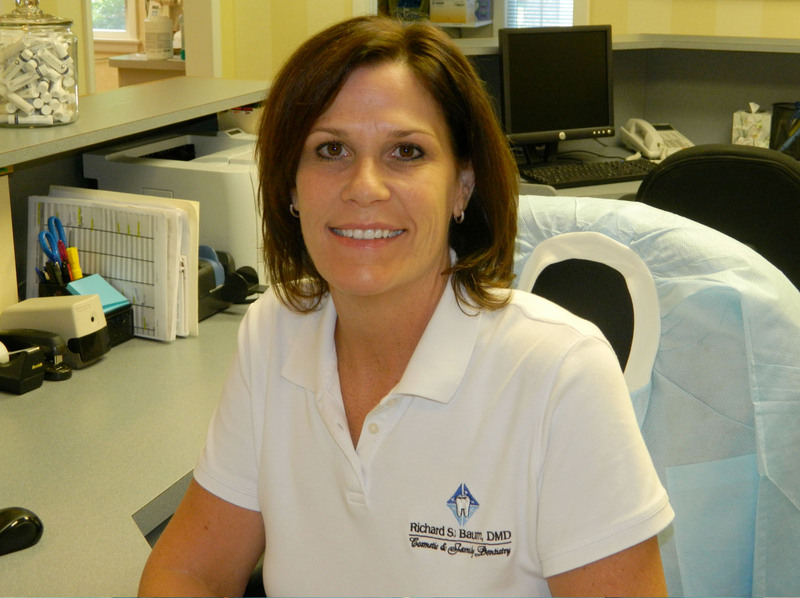 She works with Dr. Baum to find new and innovative ways to make the patient experience at our office a pleasant one.